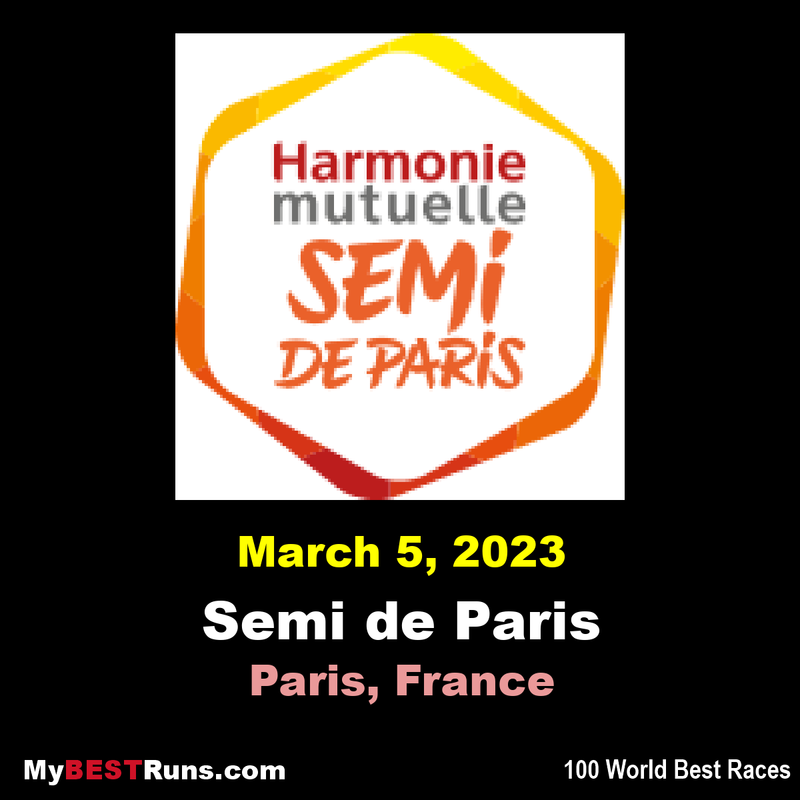 Paris Half Marathon (French: Semi de Paris) is an annual half marathon held every March in Paris, France since 1993. It currently holds IAAF Bronze Label status. 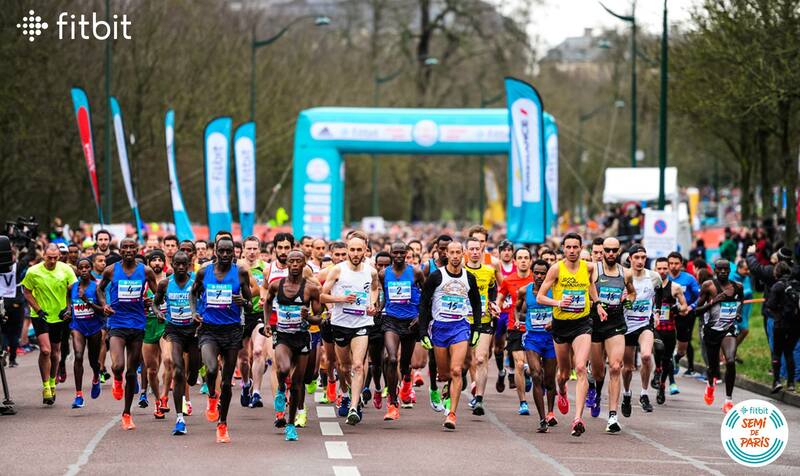 Kenya's Stanley Biwott is the men's course record holder, with his winning time of 59:44 from the 2012 race. The women's course record is held by Pauline Njeri, who ran a time of 1:07:55 that same year. Over 30,000 people participated in 2011. 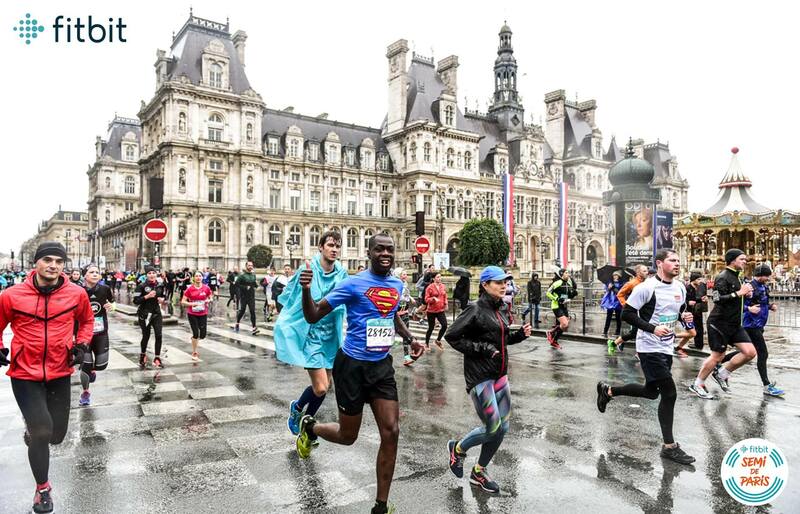 This year, we are offering youa start and a finish within Paristo make coming to the event easier and improve your experience on the Big Day! 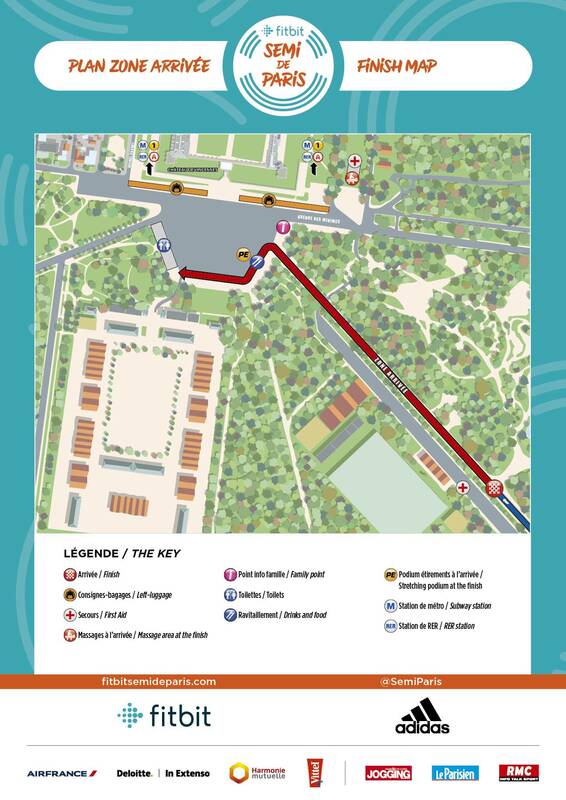 With a start on the Quais d’Austerlitz and a finish on the Quais François Mauriac (in front of the Bibliothèque François Mitterrand), locatedat the foot of the metro and the RER, you no longer have an excuse for not coming! 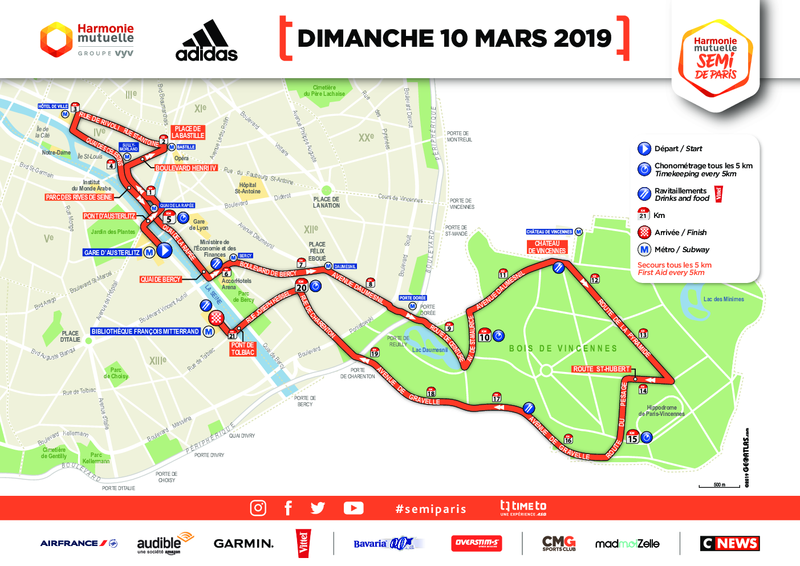 After your race, you’ll be able to enjoy the many shops and terraces on the edge of the Seine or the nearby avenues of this magnificent renovated quarter of the 13tharrondissement. Like for the previous editions, you’ll admire the capital’s many emblematic monuments:Bastille, Rue de Rivoli, Hôtel de Ville, Quais de Seine, the Bois de Vincennes and its Château, and Pont de Tolbiac.